Just in time for this spooky holiday! 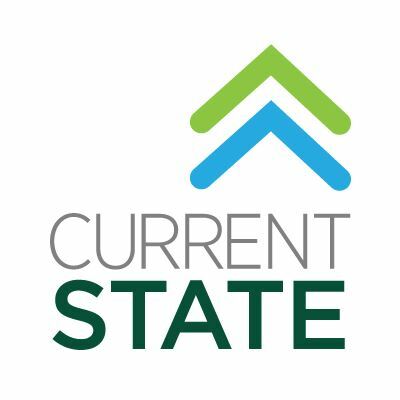 I have a new book review on WKAR’s show Current State. This time I am taking on the “lost” classic novel by Ray Bradbury, The Halloween Tree. You can find The Halloween Tree on Amazon here. 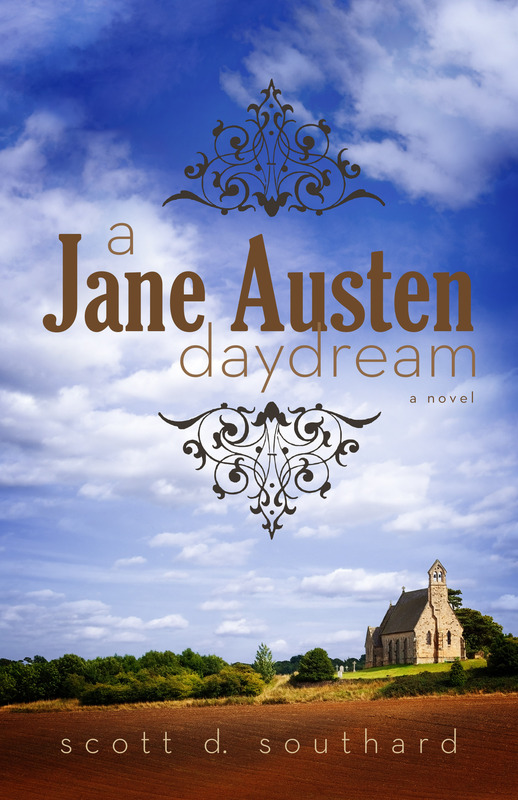 If you would rather read my new book review it is available below. Yes, Halloween has a collection of monsters stolen from black-and-white horror movies and a long history with witches and the like, but when it comes to an actual story, a fable to be brought out each year with the pumpkins, the holiday is sadly lacking. 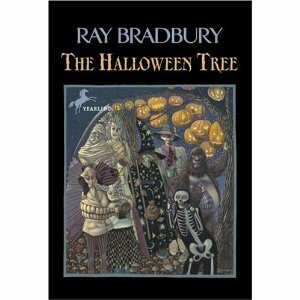 In 1972, Ray Bradbury saw this problem and created, what is now, in my opinion, a lost classic- The Halloween Tree. Some might know this story only because of a bad animated cartoon. Besides the thrill of hearing Bradbury’s narration, the cartoon is a disaster and definitely doesn’t live up to the potential of this metaphor-rich story. Skip it, grab the book. The Halloween Tree is the story of eight friends who are searching for their lost friend Pipkin on Halloween. Their investigation leads them to a gloriously gothic haunted house with a tree covered in lit jack-o-lanterns. It is there at this mysterious location that the children meet Carapace Clavicle Moundshroud, a Willy-Wonka like character who offers to help them find their friend, but they need to learn the truth about Halloween first. From there, we are taken on a tour of Halloween and Halloween-like celebrations from around the world and time, from Ancient Egypt to modern-day Mexico. The Halloween Tree argues that the holiday is more than simply an excuse for candy, it is a celebration of death. And such a macabre celebration helps us think about what it means to be alive. For a writer who claimed to be immortal—a favorite story Bradbury loved to tell people which sadly was proven false—his perspective on life and death is wonderful. See, in the book he takes the concept of death and the ending of one’s own life from a personal to a global discussion. It moves the conversation from I will die to we all will die and what does that mean about life. Not an easy task to do, so the fact Bradbury can do it so effortlessly in a young adult novel shows how masterful a storyteller he was. To emphasize this point about life and death, and our united experience with it, the children at the end have to make an incredibly difficult choice- In order to save their friend Pipkin, they each have to give up one year of their own lives. What a terrifically morbid idea… and this is in a young adult book! For some reason, I imagine Bradbury laughing evilly and rubbing his hands together when he came up with the idea; heck, I would have. This is not to say the book is perfect, like most Bradbury I feel he rushes to the big moments, not taking the time to dive into the characters and plots more. Also, the children, other than the lead, kind of blend into each other because he doesn’t really define their characters. Even Bradbury has problems telling them apart and sometimes he will have them all speak together, not even bothering to break down who is saying what. Yet, over time I hope this book will grow and Moundshroud becomes as important to Halloween as Scrooge is to Christmas. Who knows? There is a chance. Just a few years ago, Disneyland created its own Halloween Tree, mirroring the one in the book. Bradbury was even there to mark the day. Now the big question- would I give up a year of my life to save a friend? Possibly… honestly it really matters who because I like my life…. But would I give up a year of my life to have thought up the last line in this book before Bradbury did? Definitely. At two in the morning, the wind came back for more leaves. This entry was posted in Book Reviews and tagged A Christmas Carol, Book Review, Cartoon Network, Current State, Disneyland, Fiction, Halloween, Halloween Tree, Horror, It's A Wonderful Life, Martian Chronicle, NPR, Ray Bradbury, Thriller, Trick or Treat, Vampires, WKAR, Young Adult Book by Scott D. Southard. Bookmark the permalink.